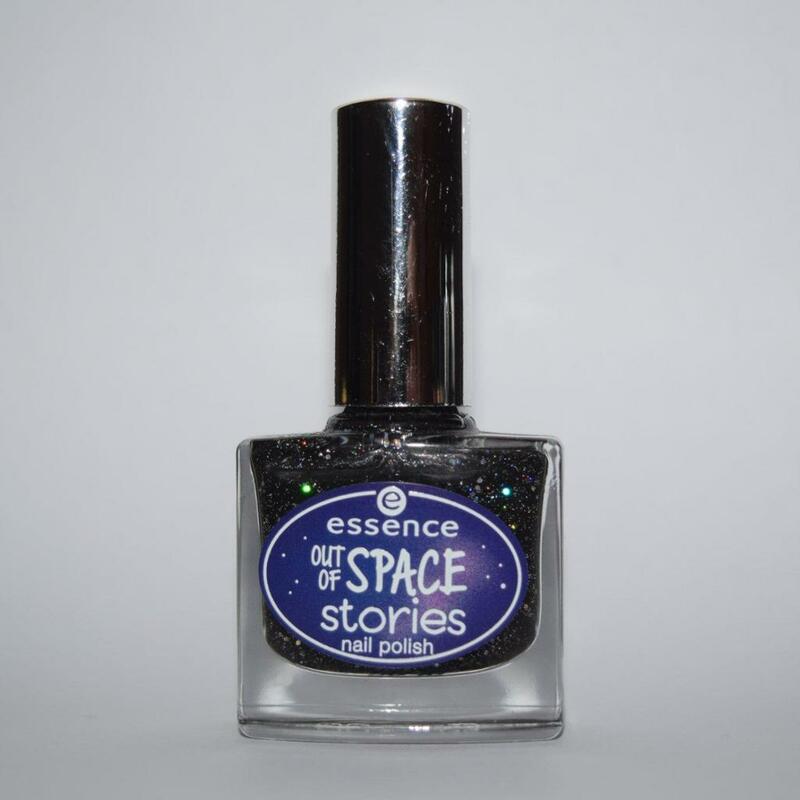 I brought one of Essence's Out Of Space Stories polishes a few months ago, and now have 3 of the collection. Each one I've gotten I've loved more than the last. There are still so many that I don't have, and I really want to get some more of the collection. Is a black polish, packed with different size silver, holographic glitter. 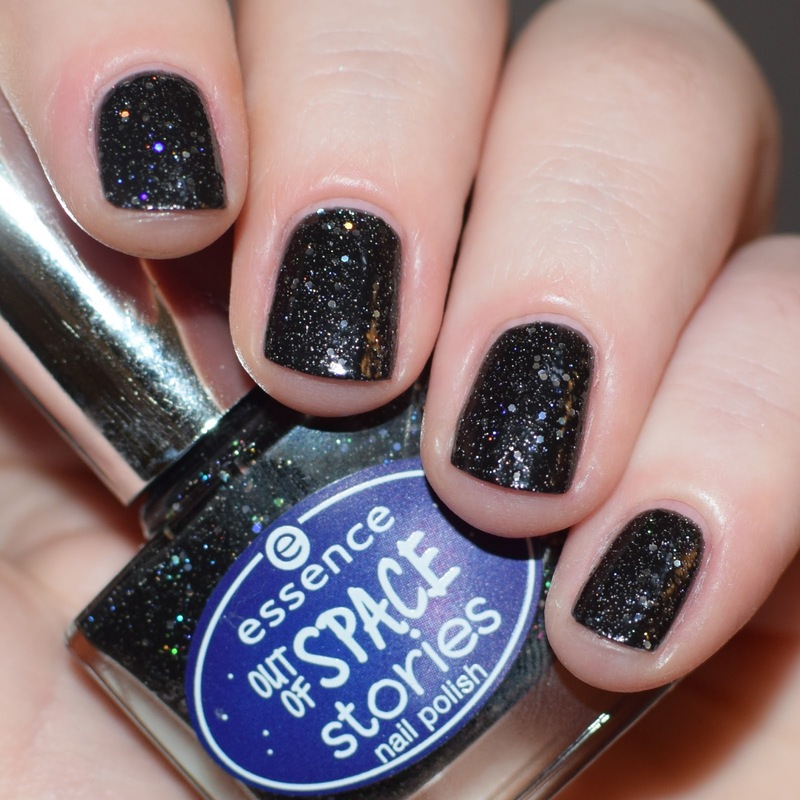 This just screams 'space', the sparkly glitter against the black base looks like stars in a night sky. This polish is opaque in 2 coats. The larger glitter in the polish do make the polish dry a tad textured, so this is one you need top coat on. 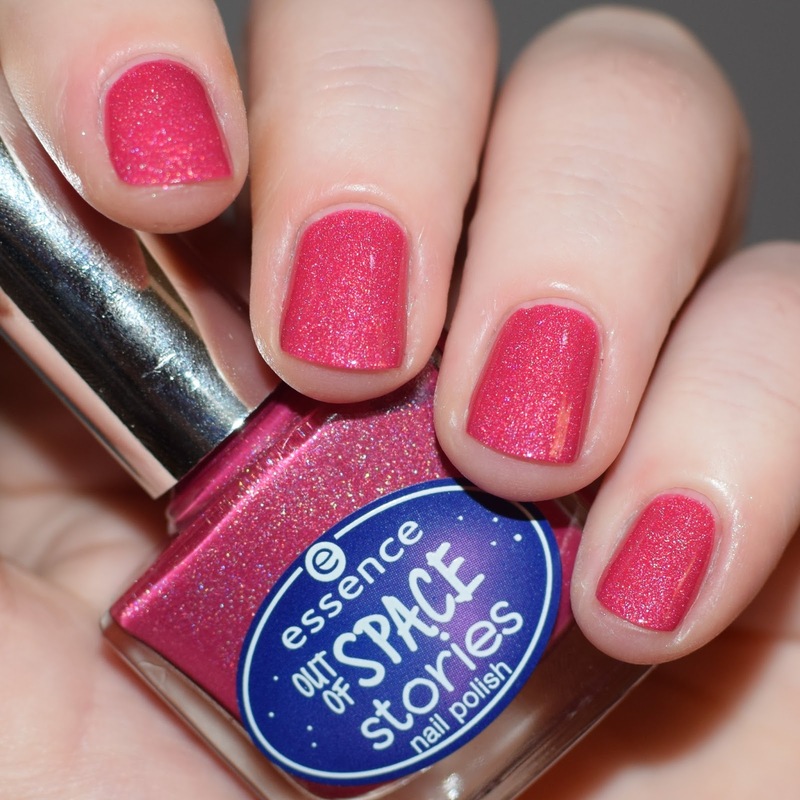 This is a fuchsia pink polish, with scattered holographic glitter. 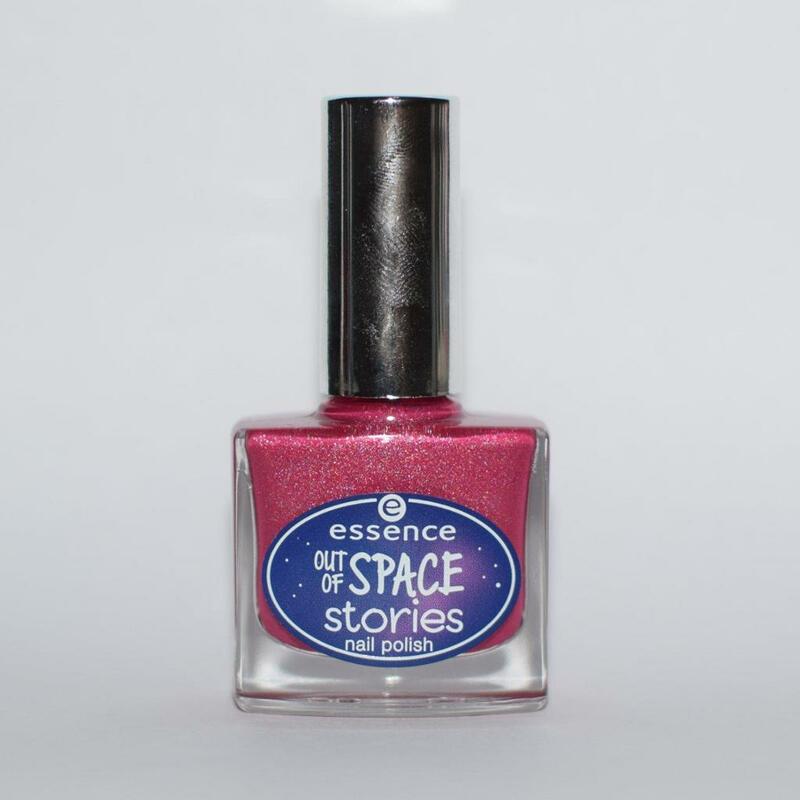 This is my favourite of the 3 that I own, it dries shiny and is opaque in 2 coats. 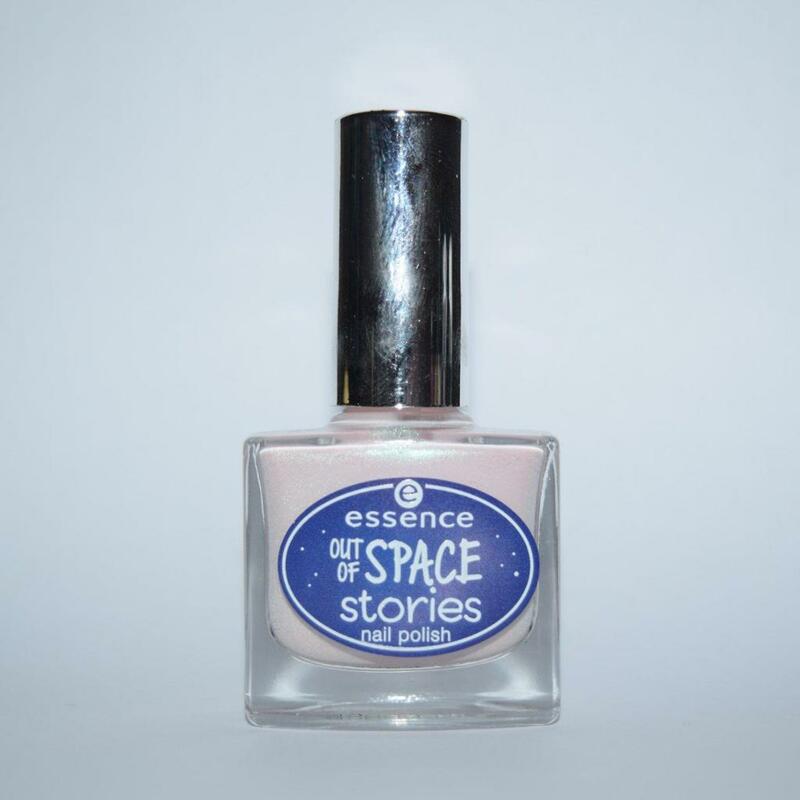 While doesn't necessarily remind me of space, it is such a pretty shade. This is a very pale pink (almost white), iridescent polish. With a colour-shifting, turquoise/green, shimmer. This can be opaque in 2 coats, but with my application I usually wear 3 thinner coats. 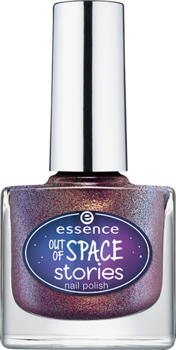 This polish does dry slightly dull, but is beautiful with a glossy top coat (also looks pretty with a matte top coat). Nails using Beem Me Up! as a based colour and a stamping polish over white. There are a couple of new shades being added to this collection on the 19th. 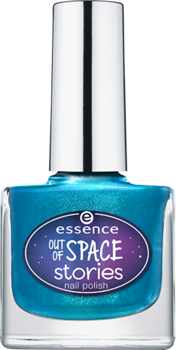 One of which is a stunning looking blue glitter, which I can't wait to get. 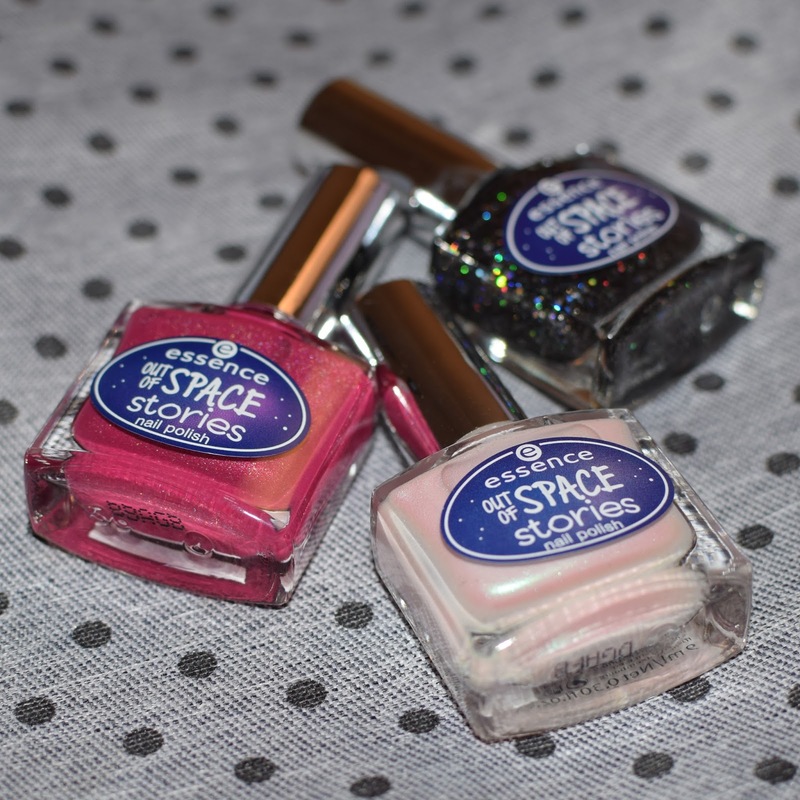 I also am desperate to try Space Glam. 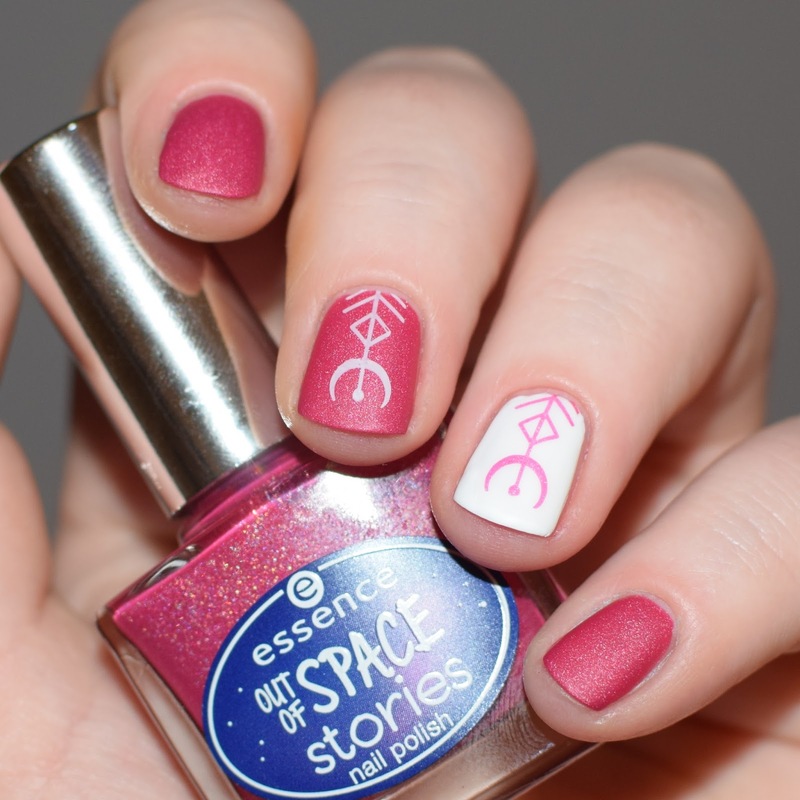 Check out the other Essence products I want to try in my current wishlist post here.